In 1886, pharmacist Dr. John Pemberton had a brilliant idea that led to the creation of Coca-Cola. Within years, his new beverage would forever change Atlanta. Luckily, it didn’t stop there. With the help of other passionate entrepreneurs, Coca-Cola was embraced all over the world and is a brand that continues to grow and re-invent itself. You see, one person can do remarkable things, but when great minds connect, the potential for meaningful impact on individual lives, communities and the world exponentially multiplies. 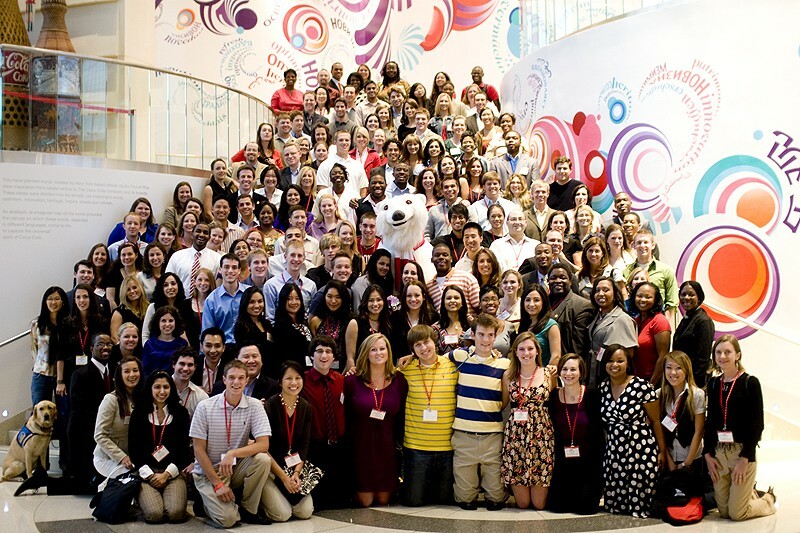 The same can happen to you and our Scholar community at the second Coca-Cola Scholars Leadership Summit – organized exclusively for all 25 classes of Scholars by Scholar alumni in partnership with the Coca-Cola Scholars Foundation. Are you ready to uncap y(our) potential? These 3 words illustrate the theme of the 2013 Coca-Cola Scholars Leadership Summit, which will be held on October 11-14 in Atlanta, Georgia. All alumni from 25 Scholar classes will be invited. From seasoned professionals across all industries to current college and graduate school students, we expect over 500 of our incredible alumni from all over the United States and several international regions to attend. Through sessions led by industry leaders (on topics that range from personal and professional development to leadership and innovation to community outreach), engaging keynote speakers, and countless opportunities for formal and informal networking and mentoring, the opportunities to uncap your and our potential as a Scholar community at the 2013 Coca-Cola Scholars Leadership Summit will be limitless. Don’t miss this unique gathering of brilliant and civic-minded Scholars and industry and community leaders just like yourself. Register today!